State policies should include schools in their short and long-term planning. 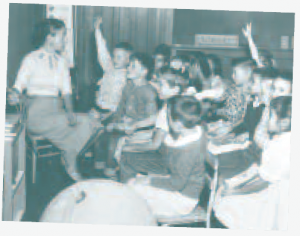 California’s public schools educate the largest and most diverse student population in the nation. Nearly 6.3 million students attend the state’s 10,000 K–12 schools. 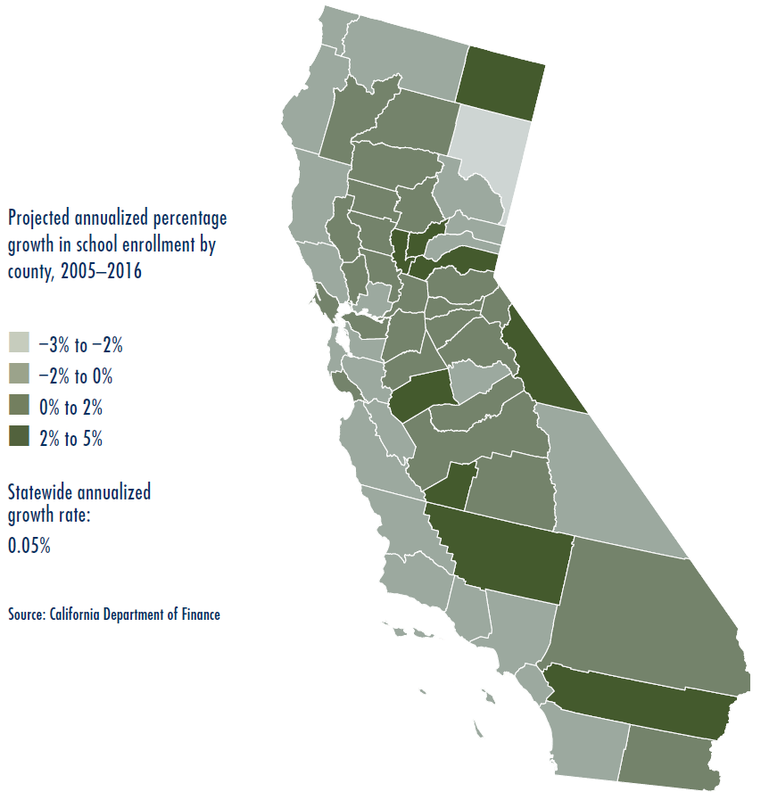 By 2030, the number of school age children will increase dramatically, making up twenty percent of California’s estimated fifty million residents. That’s four million more students than today. Successfully accommodating this nearly two-thirds increase in enrollment needs to go beyond simply providing enough seats in classrooms. Planning public school infrastructure takes place within California’s increasingly complex landscape. The all-too-common reality of “siloed” planning results in tremendous missed opportunities to make better land use and service decisions to better support students, families, and communities. New school planning must be inclusive, comprehensive, and integrated with community and regional planning. School planning must be coordinated with the housing, transportation, and work needs of the families and teachers of students as well as the communities that surround and support the schools. It’s well understood that the quality of California’s schools has a significant influence on student achievement, and in turn on California’s future economic competitiveness. But schools are also public infrastructure, and their location, design, and physical condition may well be one of the most important determinants of neighborhood quality, regional growth and change, and quality of life. As physical infrastructure, schools have significant impacts on transportation patterns and roadway service demands, residential choices, housing development and prices, as well as water and utility demands. The planning of school infrastructure thus needs to be integrated with the planning of other infrastructure and development at local, regional, and state levels. The costs of continuing to not do so are too great. As physical infrastructure, schools have significant impacts on transportation patterns and roadway service demands, residential choices, housing development and prices, as well as water and utility demands. Currently, however, there is no formal policy apparatus at local or state levels that requires or offers incentives for school districts and local governments to work together to plan school infrastructure as part of the larger urban development plan. Indeed, in California, as in most other states, school districts have a unique autonomy from other local government agencies, including the real estate and land use decisions school districts make. For example, when a California school district is looking for a location for a new school, it is not required to check with the local government planning agency to choose a site. Being exempt from local zoning laws, school districts can put a new school on a site the local agency planned to use for something else. Many school siting choices do not align with local land use and transportation plans, and some have caused a problem of “school sprawl,” where school districts have been accused of choosing sites far from existing housing, which helps promotes more rapid, and often low-density, development of land. Remote school sites lead to increased vehicle miles traveled, because students must travel farther to reach these schools. If school bus services are not available, as is increasingly the case in California, then families may have to drive their children to school, which can greatly increase total vehicle miles traveled in the region and state. Parents getting to and from schools to drop off and pick up their children can also create traffic congestion during rush hours. Indeed, because they are accessed by so many people each day, schools can be major contributors to traffic and emissions problems; some have estimated that school traffic accounts for as much as five to ten percent of morning peak travel. Despite that, and despite their significant use of energy and water, schools are currently exempt from AB32, the statewide initiative to reduce greenhouse gas emissions. 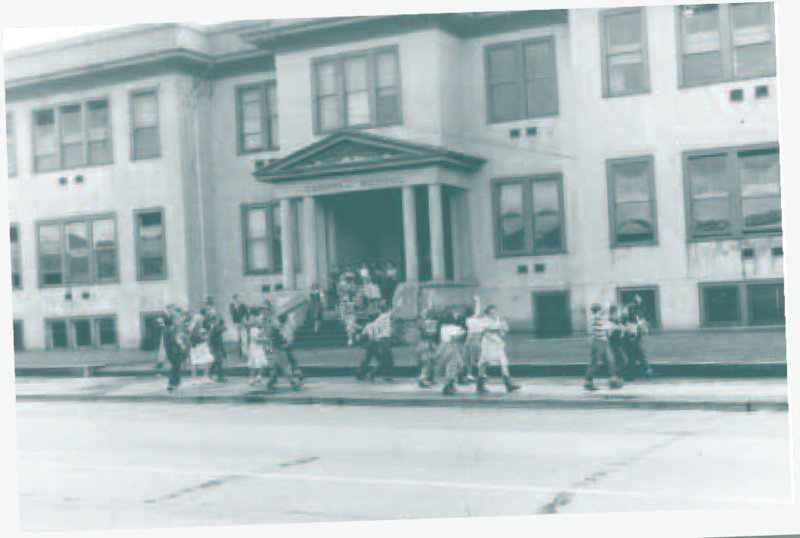 School district autonomy exists historically for many good reasons; it was intended to disentangle our schools from the strains of local politics, and to leave school planning to educational experts to ensure that educational needs drive decision making. However, decision autonomy has not insulated California school districts from severe financial pressures, and because schools are funded in part by property taxes and development exactions, they are never truly separate from urban development decisions. Instead, they both affect urban development and are affected by it. 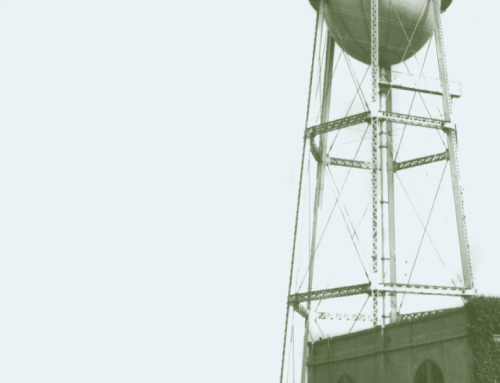 Formally, however, California school infrastructure planning is disconnected from other planning—governance, finance, and policymaking—in three important ways. First, school district geographic boundaries rarely match the boundaries of other local planning entities. A school district might lie within several cities, for example, or encompass both incorporated and unincorporated areas. 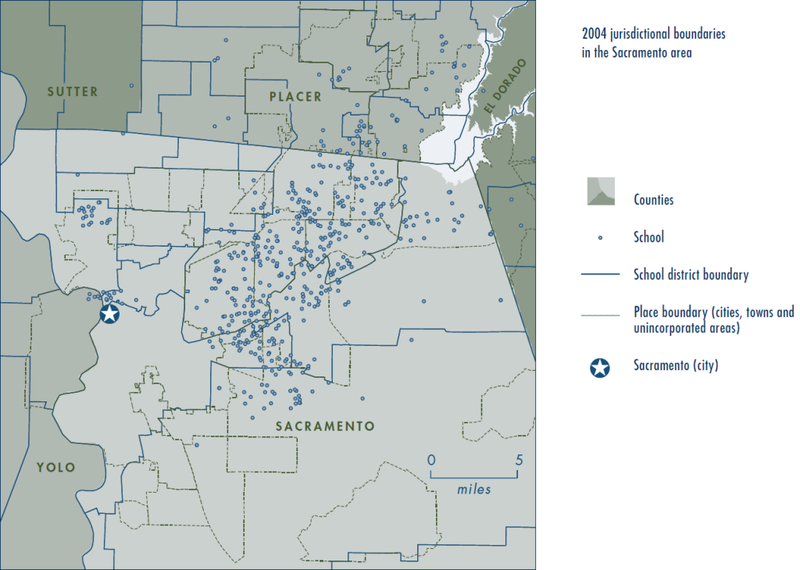 The map of the Sacramento region in Figure 1 shows the kind of disconnected, overlapping boundaries that make it difficult to coordinate school plans with city or county plans. In the Sacramento area shown on the map, there are five counties, fifteen unified school districts, nine secondary and twenty elementary school districts, 29 cities/towns, and 446 schools. Statewide, while there are only 58 counties and 478 incorporated cities, there are 1,052 school districts. Second, the exigencies of school finance often result in school location and design decisions that are aligned with neither educational needs nor urban development needs, but instead are driven by land costs or developer exactions. Schools ultimately must base many facility design and location decisions on funding availability, and in many areas, the district must look outside of developed areas to find affordable land. In other cases, developers, not districts, choose new school sites. Developers’ donations of land, which may be required as part of the development approval process, save schools the costs of securing new sites themselves, but these parcels may or may not be the most optimal for the school, the district, or the region, and may not support broader transportation, land use, or environmental goals, such as those outlined in AB32. The third disconnect, noted earlier, is the lack of a state policy framework for school districts and local, regional, and/or state agencies to work together to integrate infra- structure decisions. In rare cases, local agencies have built relationships to plan together. Some progress at the state level has been made in connecting school planning and local planning. For example, the Office of Public School Construction (OPSC) has a program to fund the construction of joint-use school facilities through local agency partnerships. Nevertheless, most school infrastructure planning is still done largely in isolation, missing opportunities for efficiencies and coordinated investments. Most municipalities and school districts develop their general or operating plans separately from one another. Local conflicts often arise over how much traffic mitigation the school districts are responsible for when they site and build a new school. Even their time horizons are different: school districts usually create five- to ten-year capital plans, while cities’ general plans tend to cover twenty years into the future. Excellence in public schools is one of the most important factors contributing to metropolitan vitality. Many stakeholders, recognizing these links, seek to define what makes a “good school” and a “quality education.” The State of California, for example, measures and ranks every school based on test scores. Other educational organizations focus on different measures. What is often left out of nearly all definitions of a high-quality school, however, is the condition of school facilities—despite increasing evidence of its importance to teaching and learning, as well as the vitality of the community. Natural light, indoor air quality, temperature, cleanliness, acoustics, and classroom size can positively or negatively affect learning and productivity. 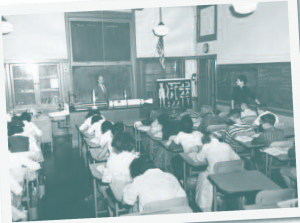 Poor ventilation, dust, and mold in ceilings and walls—all factors found in many older urban school buildings and portables—can lead to respiratory infections, headaches, sleepiness, and absenteeism. Several studies have found that students attending school in newer facilities outperform similar pupils in ageing schools, even when controlling for socioeconomic differences. Studies are beginning to find that the size of schools also matters. Smaller schools (less than 500 students) and small learning communities within larger schools have been associated with better student performance, less absenteeism, and increased student engagement. Research shows that teacher retention is higher when school facilities are in better shape. Smaller schools (less than 500 students) and small learning communities within larger schools have been associated with better student performance, less absenteeism, and increased student engagement. School quality also affects housing demand and housing affordability, as parents of school age children bid up housing prices in communities with high public school rankings. In turn, this affects public finances. Higher housing prices mean more tax dollars, but financing their share of schools also may push local governments to compete for more commercial and retail development to increase the tax base, in part to support the schools. School locations affect how children and staff get to school, which affects local traffic, congestion, and pollution. At least one fifth of the state’s current population travels to and from a K–12 public or private school each weekday, nine months a year, so it matters how and when they travel. And school design can shape the types of educational programs the school can offer, and the opportunities for shared uses with the community or other government entities. In other words, location, land use, and community activities can all be greatly influenced by school siting and design. Until the late 1990s, there was a dearth in capital spending on schools in California. For the two decades prior, California school conditions deteriorated, and by 1995, a federal government study found them to be among the worst in the nation. Our recent research finds that in the decade following this finding California school districts spent much less per student on school construction and modernization than the national average, even though California leads the country in terms of total amount invested. 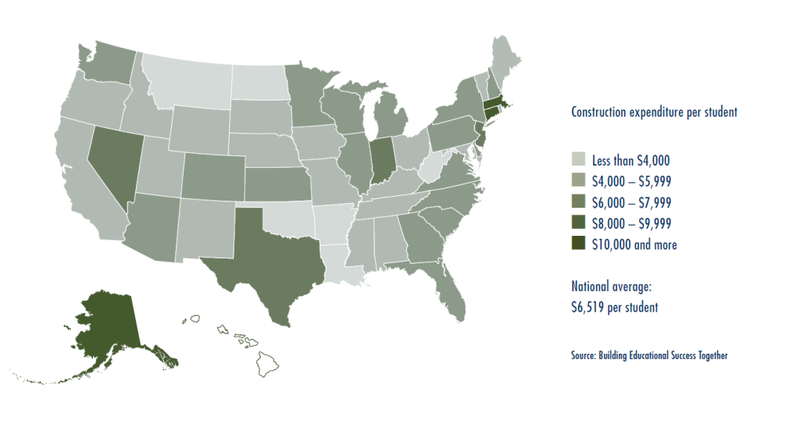 Given the great need and the fact that construction work tends to be more expensive in California, this is a troubling statistic (see Figure 2). As a result, many schools are severely overcrowded and have to rely on portable classrooms (more than 85,000 statewide). Because there has been little money for school infrastructure, there was little pressure to coordinate school investment and planning with other infrastructure plans, and the issue did not often arise outside of new growth areas. Two fairly common exceptions have been shared playing fields and the use of public transportation and transit passes for school access, but even on these issues planning and coordination remain spotty. California’s surge in school infrastructure funding since 1998 and the much-talked- about next statewide school construction bond likely in 2010 open up new opportunities for integrating school and metropolitan infrastructure planning to address schools’ land use and transportation effects. Better coordination could help meet regional transportation planning goals and reduce the impact schools have on the environment. The transportation opportunities are mutual: both schools and communities could greatly benefit from better coordination of transport services. California is one of three states that does not require school-funded transport, yet ninety percent of its districts report transport expenditures. The state’s fastest-growing school enrollments are in the lowest-density areas where public transit options are sparse and where families live too far from schools for walking or bicycling—and absent a change in direction, this trend will continue (see Figure 3). Could smaller schools located closer to homes reduce the need for school busing and parental driving, allowing more students to walk or bike to school? Similarly, could higher density neighborhoods planned with schools also decrease busing and driving to school? Could infill projects, urban revitalization, and school upgrades bring more of the student population back to communities that have lost students, further reducing school transport needs and opening up public transport options for older students? These are the sorts of questions that could be explored with new funding and new incentives for integrating planning. 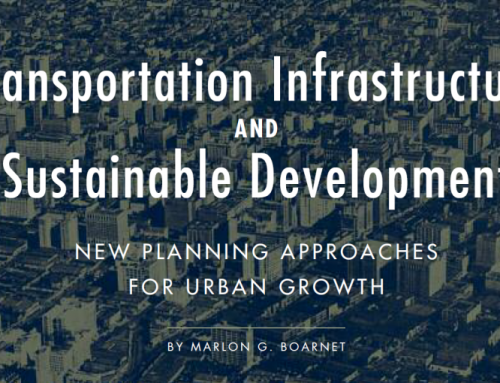 Three key recommendations could help align infrastructure planning and invest- ment. These proposals stem from five years of work at the UC Berkeley Center for Cities and Schools in partnerships with local, regional, and statewide educational and civic leaders. 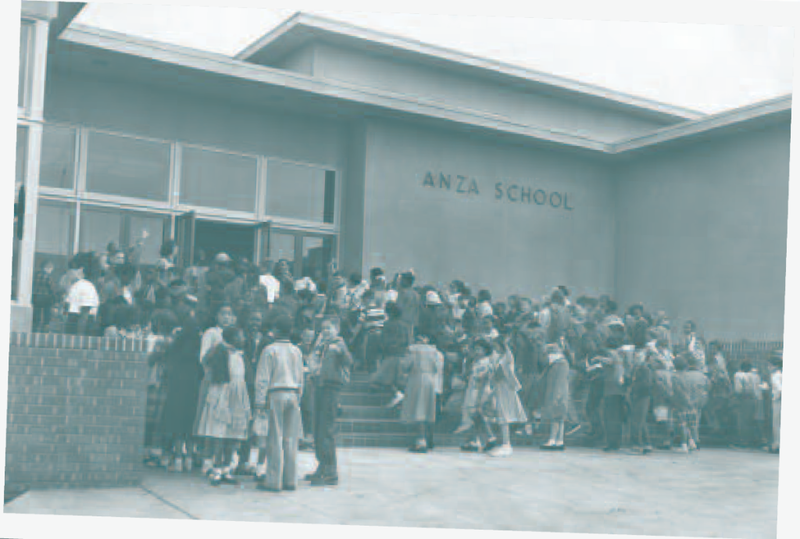 Create a statewide vision for California’s ongoing major public investment in school facilities that is connected to broader goals of educational outcomes, community development, environmental protection, regional growth, and other infrastructure investments. Without vision, the current finance-driven model for school facility decisions is greatly influenced by projections of demographic shifts based on current housing markets, local housing restrictions, land cost and availability, and characteristics of proposed sites (e.g., the need for environmental cleanup, topography, or acreage per student), rather than goals for smarter growth, creating schools as centers of community, or reducing greenhouse gas emissions. As a result, too many new schools are often simply “adequate,” lacking the innovative siting and design ideas that could enhance teaching, learning, and community life. Offer incentives to coordinate local and regional infrastructure planning. California will need legislative and policy changes to better inform, encourage, and provide guidance for the largely local practice of planning and siting new school facilities. Perhaps most important is the need for policy where none exists, such as ways to motivate interagency collaboration. State policies should do more than just encourage local governments to include school facilities in their short- and long-range comprehensive plans, and school districts to incorporate local and regional plans into their master facility and capital improvement plans. State policies should establish incentives for these entities to strategically align their planning documents. The cost to build new schools in California has skyrocketed, and state and local education agencies are competing with the private market for land, labor, and materials. If local governments and schools coordinate their plans, opportunities arise for both to reduce costs by locating schools near existing infrastructure, by creating joint uses, by involving the community early and throughout the process, and by identifying opportunities to reinvest in urban assets. Including schools in plans for urban redevelopment, congestion reduction, and open space preservation offers new opportunities for meeting regional environmental goals. The cost to build new schools in California has skyrocketed, and state and local education agencies are competing with the private market for land, labor, and materials. Planned in collaboration with roads, housing, water, and other public infrastructure, schools can be made more accessible, allowing school users to walk and bike and thereby increasing physical activity and lessening road congestion. Schools also generate and attract economic activity for surrounding communities, and should be part of community and economic development plans. Joint use of school facilities creates opportunities for reduced operations costs and allows residents and students to pool resources. Coordination and community partnering is not only good for the environment and the community but may also contribute to school reform and should be common in school planning, not the exception. 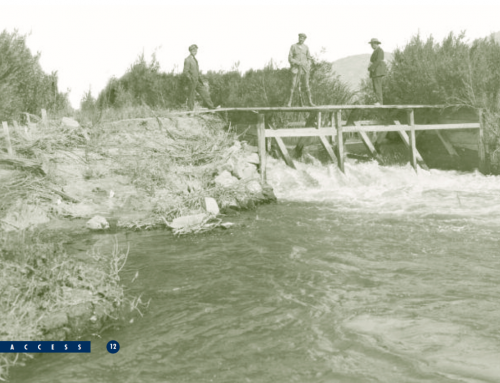 Conduct research and provide education to guide integrated infrastructure planning. Research and training can address institutional inertia, state and federal legal requirements, fear of litigation, lack of knowledge of other agencies’ processes, and other barriers that currently make working together across agencies a challenging process. 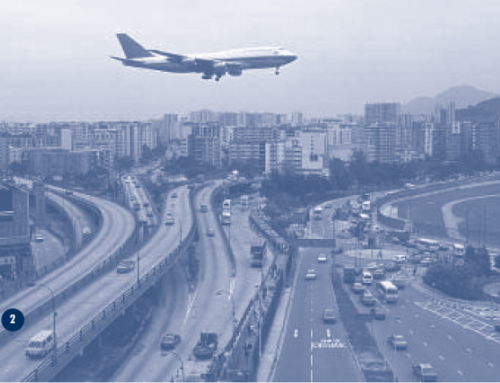 Researchers need to analyze and measure the benefits and potential costs of more integrated infrastructure planning systems, of operating joint-use schools, and of the range of policies identified in this article. Longitudinal analysis of new schools built with innovative siting and design strategies would demonstrate the benefits and drawbacks of these strategies for schools and communities. California will continue to grow, and the state will continue to make important major investments in new public school facilities. Now is the time to craft a vision and strategic supporting policies to ensure educational, community, and regional growth and prosperity for generations to come. Eric J. Brunner. Financing School Facilities in California (Palo Alto: Institute for Research on Education Policy and Practice, Stanford University, 2006). Center for Cities and Schools. Building Schools, Building Communities: The Role of State Policy in California (Berkeley, CA: Center for Cities and Schools, 2007). Environmental Protection Agency. Travel and Environmental Implications of School Siting (Washington, DC: US EPA, 2003). Mary Filardo. Good Buildings, Better Schools: An Economic Stimulus Opportunity with Long-Term Benefits (Washington, DC: Economic Policy Institute, 2008). Deborah L. McKoy and Jeffrey M. Vincent, “Housing and Education: The Inextricable Link,” in Segregation: The Rising Costs for America, edited by James H. Carr and Nandinee Kutty(London: Routledge, 2008). Jeffrey M. Vincent and Mary Filardo. 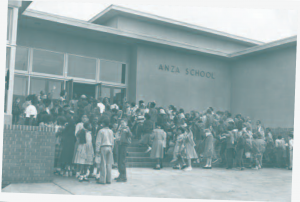 Growth and Disparity in California: A Decade of Public School Construction in the Golden State. 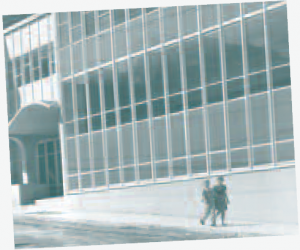 (Berkeley, CA: Center for Cities and Schools and Building Educational Success Together, 2008). Jonathan D. Weiss. Public Schools and Economic Development: What the Research Shows. (Cincinnati, OH: KnowledgeWorks Foundation, 2004). Carrie Makarewicz is an assistant professor at the University of Colorado Denver. Deborah L. Mc Koy is executive director of the Center for Cities and Schools at the University of California, Berkeley (debmckoy@berkeley.edu).